Leveraging on our rich industry experience and knowledge, we bring a qualitative array of Sodium Silicofluoride. Right from procurement to the final dispatch, the complete process is accomplished under the vigilance of professionals to ensure that the buyers receive only high grade Sodium Silicofluoride. 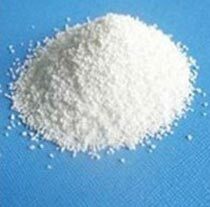 We are known Exporter & Supplier of Sodium Silicofluoride in Hong Kong.